Cool Hunting dedicates a special piece to Florence Knoll in honor of her 100th birthday. Florence Knoll’s impact on the design community and the corporate office cannot be understated. Her many designs – from tables and desks to chairs, sofas, benches and stools – are timeless. Evan Orensten, co-founder and executive editor of Cool Hunting, interviews Benjamin A. Pardo, Knoll executive vice president of design, about Florence Knoll’s forward-thinking ethos and its significance to the company and the industry as a whole. 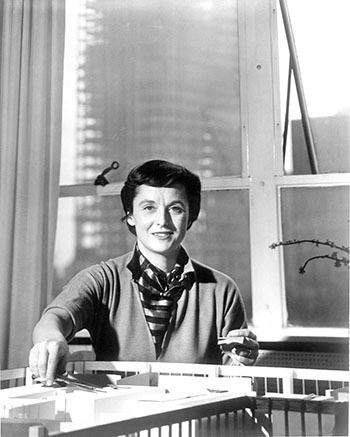 With regards to her achievements that should be celebrated, Pardo noted that Florence Knoll proved “good design is good business.” For her clients, she demonstrated that thoughtful planning and high-quality furniture improved employees’ experience, thereby increasing business. For Knoll, she proved that a consistently high standard of design was enough to make the company an industry leader. Florence Knoll made an assertive comment in 1964 stating that she was not a “decorator,” but rather an interior designer. Pardo agrees with Orensten that Florence Knoll, in the process of defining the standard for modern corporate interiors of post-war America, created the job description for the “interior designer” as we understand it today. With her signature Planning Unit, Knoll introduced modern notions of efficiency, space planning, and comprehensive design to office planning. She ardently maintained that she did not merely decorate space. She created it. Pardo points out that the company still abides by her credo that furniture design is successful insofar as it contributes to and speaks to the overall design of a space. 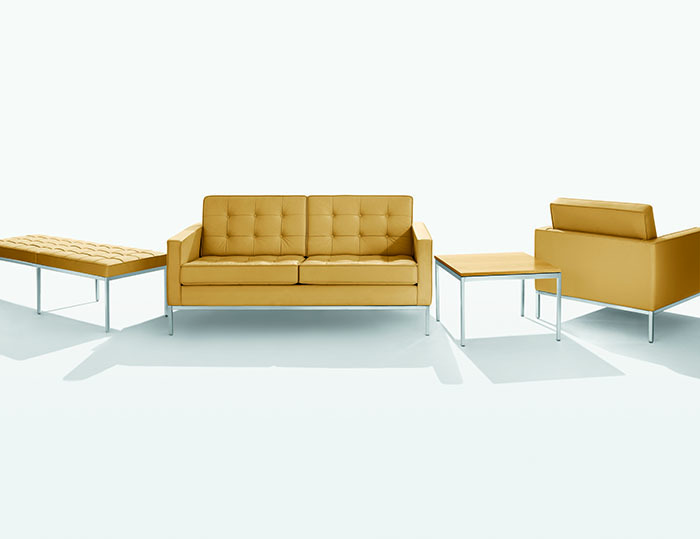 Furniture is there to facilitate a user’s interaction with a space, not to be the sole focus. Modeled after the concept of gesamtkunstwerk – the total work of art – Florence Knoll’s philosophy runs deep within the company’s design principles.